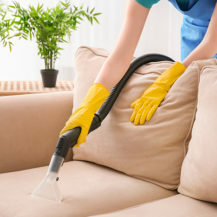 From your home to your clothes, cookware to couches, these natural spring cleaning tips are so simple, yet so effective and better yet, they’ll save you time and money in the long-run. Plus, we’ve sourced the best spring cleaning products to turbocharge your home cleaning routine. Remove oil from silk clothing? Gently rub cornflour onto the area to absorb the oil, and lightly brush off. Cover the oil mark completely with more cornflour, and leave to sit for a few hours. Shake clothing free of flour and then hand wash, or use a gentle machine cycle, using hand wash detergent. 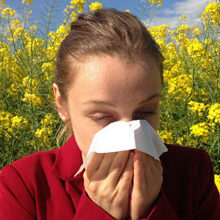 If you get pollen on your clothes, don’t try to brush it off! Take a small piece of sticky tape, press the sticky side to the pollen mark, and lift off. Repeat with clean tape as required. You might not be a fan of the scent, but placing whole cloves in wardrobes and drawers really works. Say goodbye to dust mites? Vacuum your mattress, particularly along piping and crevices, to remove the dead skin cells that attract them. ALSO SEE: Are dust mites making you sick? Get the grooves out of my carpet? If your furniture has left an indentation in your carpet, place an ice cube into the groove. Let it melt naturally, then use a stiff brush to gently scrub it back into place. Remove scuff marks on paintwork? Rub them with a clean pencil eraser, then dampen a cloth with rubbing alcohol and dab the mark until it disappears. Get rid of pet hairs? Deal with limescale in the loo? Distilled vinegar dissolves calcium, which is what limescale is made of. Put it into a plant-spray bottle, then apply to the loo, leave for half an hour, and rinse clean. If the problem is more severe, soak a few pieces of kitchen towel in the vinegar and place them on the affected parts for a few hours. And limescale on the shower door? 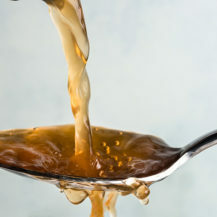 Mix together equal parts of vinegar and water, and scrub on with a soft toothbrush. For heavy caking, soak paper towels in vinegar, and leave on overnight. Lemon juice and water applied with an old newspaper, then rinsed with water, works well, too. Shake everything out of your cupboards once a month. Moths don’t like being disturbed. 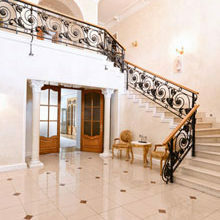 Keep carpets moth-free by moving furniture to clean and vacuum underneath, paying attention to every nook and crevice. Empty the vacuum bag straight away to avoid them hatching inside. Avoid putting dirty clothes into a wardrobe. A good example is a coat that needs dry-cleaning – encourages moths, who prefer dirty clothes to clean ones. Store your woollens and silks in sealed plastic bags over the summer. It’s not foolproof, but moth larvae are lazy and less likely to find their way into plastic bags. Wash items before storing, but some knitwear will need dry-cleaning, as only temperatures above 60 degrees will kill moths, and their eggs and larvae. Remove rust from cast iron by slicing a fresh potato in half and covering the cut end in washing-up liquid. Rub away the rust spots with it, rinse, dry, then apply a light layer of oil to the surface. 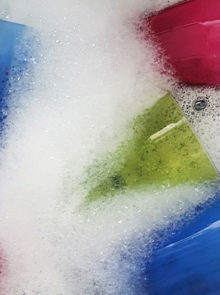 Revitalise enamel pans by mixing three tablespoons of baking soda with 1l of water. Boil, then simmer for 20 minutes. Allow to cool, then clean. Deep clean casserole dishes with 50/50 vinegar and cream of tartar. This miracle paste takes care of old splatters and caked-on gunk. Leave to sit on the stain for an hour or two – it should rub off easily. De-tarnish copper pans by sprinkling affected areas with salt and a drizzle of lemon juice, then cover. Rub clean, rinse, then towel dry. Or mix flour, salt and vinegar to make a scouring paste. Clean baked-on food off pans by sprinkling on a scoop of washing powder; cover with hot water, soak for a night and the food will rub off. For trays with no edges, try a detergent-and-water paste. We’re big fans of the completely bagless Bissell Aerovac, which is a lightweight 2-in-1 high-powered vacuum cleaner. After vacuuming your carpets, hard floors and area rugs, this upright cleaner can be converted into a nifty corded hand-held vacuum that’s ideal for moving over furniture, counter tops, and cleaning those hard-to-reach spaces. From R500, available at Takealot. It’s simple, economical and mess-free, so ditch the old-fashioned mop. We like the Morphy Richards 9 in 1 Steam Cleaner – it tackles many surfaces, including floors, carpets, upholstery, curtains, worktop surfaces, and the oven. This steam machine functions in both upright and hand-held modes, and it’s easy-to-fill detachable water tank has a handy water-level viewing window so you can see when you need a water top-up. But, unlike smaller cleaners, this 400ml tank means more time cleaning; less time refilling. Plus, it produces steam in 30 seconds after it’s powered up – super quick! From, R2 500, available at Morphy Richards. Spring is on the way, so get outside and spruce up the patio. A jet washer quickly cleans up paving slabs and loosens any weeds. The lightweight, compact Karcher K 2.21 High-Pressure Washer comes with a 5m hose, a dirt-blaster nozzle and a vario-power spray lance. It can be used on decks, too. R1 099, from leading retailers. As the sun shines through your windows, you really notice the dust and dirt on blinds and shutters, so, for quick cleaning, we love the Addis Blind Cleaner. This duster gets in-between slats to clean three in one swipe, without the fear of scratching! R80, available at Makro.